Based upon academic research at the University of Amsterdam’s Center for the History of Hermetic Philosophy and Related Currents, One Truth and One Spirit is a much-needed work that covers a previously unexplored history of the modern religious movement known as Thelema. 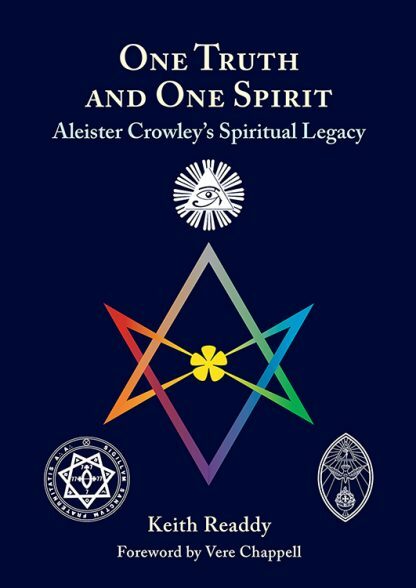 This work details the theoretical framework of Aleister Crowley’s spiritual legacy in the O.T.O. and the A?A? and covers the years of Thelema since Crowley’s death in 1947. Keith Readdy is an independent researcher of religion and philosophy. He holds a bachelor’s degree in philosophy from the University of Central Florida and a master’s degree in the history of religion from the University of Amsterdam. He has been a member of the Ordo Templi Orientis and an aspirant to the A∴A∴ since 2010. He currently resides in the United Kingdom with his wife Kyra.